Brambles primarily serves customers in the fast-moving consumer goods (e.g. dry food, grocery, and health and personal care), fresh produce, beverage, retail and general manufacturing industries, counting many of the world's best-known brands among its customers. Brambles provides supply-chain logistics services to these customers, based upon the Group's longstanding expertise in the management of reusable unit-load equipment such as pallets, crates and containers. The Group also operates specialist container logistics businesses serving the automotive, aerospace and oil and gas sectors. 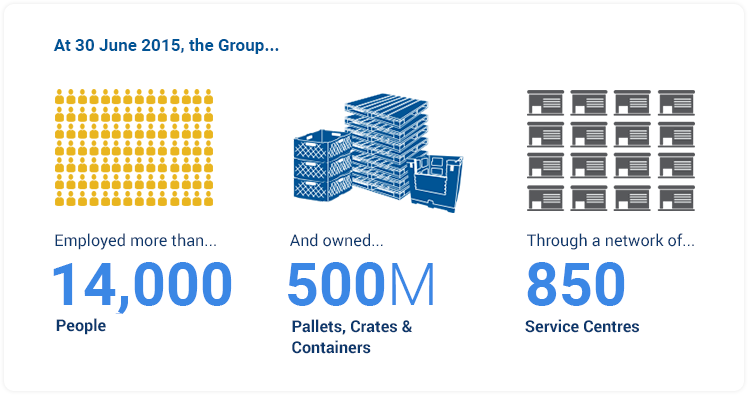 At 30 June 2015, the Group employed more than 14,000 people and owned more than 500 million pallets, crates and containers (before provisions) through a network of approximately 850 service centres. Aerospace, which rents containers and pallets for the transportation of baggage and cargo to airlines, as well as maintaining these and other equipment. Commentary on the performance of Brambles' operating segments during the Year, is included in Section 7 of this Operating & Financial Review. Brambles enhances performance for customers by helping them transport goods through their supply chains more efficiently, sustainably and safely. The Group's primary activity is the provision of reusable pallets, crates and containers for shared use by multiple participants throughout the supply chain, under a model known as "pooling". Under various pooling models, Brambles provides standardised reusable pallets, crates and containers to customers from its service centres, as and when customers require. Customers then use that equipment to transport goods through their supply chains, and – depending on the specific pooling model in operation – either arrange for its return to Brambles or transfer it to another participant in the network for that participant's use prior to its return to Brambles. Pooling enables customers to eliminate the need to purchase and manage their own unit-load equipment, thereby reducing the capital invested and complexity in customers' operations while reducing waste from their supply chains. Customers benefit from the shared scale efficiencies generated by Brambles’ network and systems, as well as the Group’s asset management knowledge and development of additional value-adding services, products and solutions. Brambles generates sales revenue predominantly from the rental and other service fees that customers pay based on their usage of the Group’s equipment. Brambles retains ownership of its equipment at all times, inspecting, cleaning and repairing it as required to maintain appropriate quality levels. Brambles' relative competitive position is defined by the scale and density of its pooling networks, and the additional service and value these networks enable the Group to provide to customers. Over time, disciplined expansion of these networks and accompanying investment in customer service create a sustainable competitive advantage that enables the delivery of attractive returns to shareholders. In addition to providing barriers to entry, the scale of Brambles' established operations and customer relationships also provide the Group unique access to additional customer growth opportunities. Brambles defines Return on Capital Invested as Underlying Profit divided by Average Capital Invested. The main driver of Average Capital Invested is capital expenditure on pooling equipment, which is primarily influenced by the rate of sales growth and by asset efficiency factors: i.e. the amount of pooling equipment not recoverable or repairable each year (and therefore requiring replacement), and the frequency with which customers return or exchange pooling equipment. Brambles’ main capital cost exposures are for raw materials, primarily lumber and plastic resin. In recent years, Brambles has consistently delivered profitable growth comprising superior rates of sales revenue growth and high levels of return on capital relative to the benchmark Australian share index, the S&P/ASX200 Index. Based on Bloomberg data for the five years ended 31 December 2014: Brambles’ compound average growth rate in sales revenue was 7%, compared with (1)% for the S&P/ASX200 Index, and Brambles’ average post-tax return on capital was 14%, compared with 5% for the Index. Over this period, the Group has consistently delivered superior total shareholder return compared with the ASX200 and with the index of ASX200 industrial companies. In the 2015 financial year, Brambles’ delivered total shareholder return of 18%, compared with 6% for the S&P/ASX200 Accumulation Index and 15% for the S&P/ASX200 Industrials Sector Accumulation Index. On a five-year basis, Brambles’ total shareholder return has been 146%, compared with 61% for the S&P/ASX200 Index and 74% for the S&P/ASX200 Industrials. While there is no guarantee that these absolute or relative returns will continue, the Company believes that superior execution of its strategy will enable continued strong performance. Consistent incremental improvement in Return on Capital Invested to at least 20% by the end of the 2019 financial year. These targets were set exclusive of the impact of merger or acquisition activity and in line with certain assumptions in relation to macro-economic and operational risks (see Section 5). Details of how the Group uses its remuneration policy to incentivise the Company’s leadership in the context of these targets are in the Remuneration Report on Pages 15 to 30. Brambles’ aspires to be a world-leading provider of logistics solutions, working together with its customers to make supply chains that are more efficient, safer and more sustainable. Investing in network advantage: The strength and scale of Brambles' network of customers, people, service locations and asset management capability are inherent to the Group's value proposition to customers and shareholders alike. The Group is committed to investing to maintain this network advantage and enhance it through innovation and customer collaboration. Driving operational and organisational efficiency: Brambles supports its investment programs with internal efficiency initiatives that enable financial resources to be redirected to activities that are value-adding for customers. The Group targets continuous efficiencies in direct costs while the five-year organisational efficiency program, One Better, is focused on indirect cost reduction. Disciplined capital allocation for long-term growth: In addition to funding its established businesses, Brambles seeks to allocate capital to organic or business opportunities or acquisitions where the Group believes its specific supply-chain expertise can add value for customers and create value for shareholders. As a result of the dynamic nature of the supply chains Brambles serves, the Group has a broad range of growth opportunities. These include: increasing penetration of core equipment-pooling products and services in existing markets; diversifying the range of products and services; entering new and adjacent parts of existing supply chains; and/or expanding into new supply chains or geographies. Meeting customer demand for sustainable outsourced supply-chain solutions amid an intensifying competitive environment. The opportunities described in Section 5.1 also create risk to the execution of Brambles' strategic objectives. To assess these and other operating risks, Brambles has adopted a risk management framework, which is described under Principle 7 of the Corporate Governance Statement on Brambles’ website. Competitor activity, in particular in relation to changing customer demands and/or market structures, could affect Brambles’ market penetration, revenue and profitability. 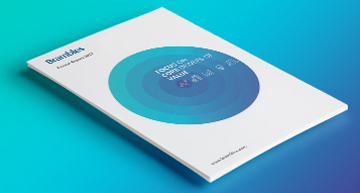 An assessment of these specific risks and mitigating actions in the current year, are set out in the Strategy Scorecard, in the context of Brambles' progress in relation to its business strategies and financial performance objectives. Being able to attract, develop and retain high-performing individuals who can implement and manage Brambles’ strategic objectives, as well as having proper succession planning in place to develop talent. 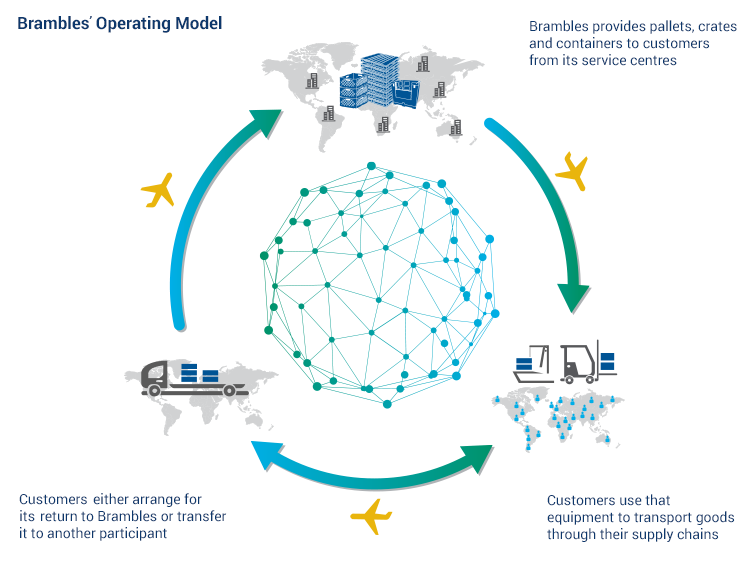 Brambles believes its operating model is inherently sustainable as it encourages the reuse of assets among multiple parties in the supply chain. Brambles’ sustainability framework organises Brambles sustainability activities in three areas: Better Business, Better Planet and Better Communities. A full review of progress, material risks and new targets will be included in the Sustainability Review scheduled for publication in October 2015. In FY15, Brambles conducted a review of material sustainability risks and issues, recognising: previously identified material sustainability issues; the ASX Corporate Governance Principles & Recommendations, particularly Recommendation 7.4 concerning economic, environmental and social sustainability risks; and the Global Reporting Initiative’s G4 reporting framework. This review identified the following material sustainability risks. Materials sourcing: Ongoing secure supply of materials for the production and repair of pooling equipment, in particular wood used for pallets, is critical to Brambles. In FY11, Brambles set an aspirational target of achieving chain-of-custody certification for 100% of wood purchased for manufacture and repair of CHEP pallets by FY15. In FY15, Brambles purchased 2.3 million cubic metres of wood for use in CHEP pooled pallets, up from 1.6 million cubic metres in FY11. Of the FY15 volume, 97% was from certified sources with 43% carrying full chain-of-custody certification. The percentage of chain-of-custody certified wood did not improve in FY15, as a result of suppliers being unable to provide full evidence of chain-of-custody certification, as well as the limited supply of appropriate quantities of wood certified in some countries. Brambles expects an improvement in the volume of purchased lumber that is chain-of-custody certified in FY16 as it continues to work with industry bodies and suppliers in support of more sustainable lumber practices. Safety: Brambles Zero Harm Charter states that everyone has the right to be safe at work and to return home as healthy as they started the day. Brambles measures its safety performance through the Brambles Injury Frequency Rate (BIFR), which measures work-related injuries, fatalities, lost time, modified duties and incidents requiring medical treatment per million hours worked. Brambles’ met its target of year-on-year improvement in the BIFR rate in FY15, recording a BIFR of 13.3, an improvement from 15.6 in FY14. It was, therefore, very sad that a truck driver in our recycled pallets operations in the USA was involved in a tragic road traffic accident in December 2014 as a result of which both he and another driver were fatally injured. Learning and development: Brambles’ people capability is linked to its ability to meet its business objectives and, as such, the learning and development opportunities available to its people are critical. Brambles recorded more than 17,300 education, training and development days in FY15, up 2.5% on FY14. 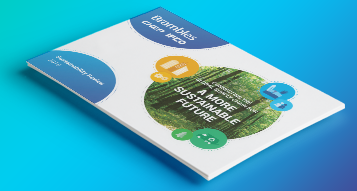 Further details of Brambles’ sustainability framework, material sustainability risks and issues and new Sustainability targets will be available in the Sustainability Review, scheduled for publication in October 2015. Please enter your HIN/SRN and postcode. For security purposes, please retype the security code in the space provided.